Below is an email sent out to all subscribers of the band's mailing list in January 2015. 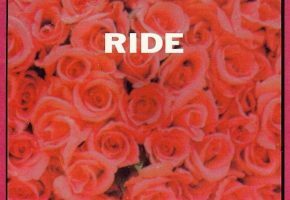 Today is the 25th Anniversary of our debut EP On 15th January 1990, the RIDE EP featuring Chelsea Girl, Drive Blind, All I Can See and Close My Eyes was released on Creation Records How could we have ever thought that we'd be here 25 years later writing (an email) to you all about all the amazing things that lie ahead for us - and hopefully all of you - this year. When we all met up, as we regularly have done over the years, at the end of September we kicked around the idea of playing a handful of shows together again. We wondered what might be possible and where this idea would take us. We have received offers from promoters to reform consistently over the last 15 years but the right opportunity and the right offer never seemed to coincide. But this time we had the right offers (great festival headline slots for Primavera in Barcelona and Field Day in London) and we each had a nice tour-sized gap in our diaries. As great as playing festivals is, we also wanted to be able to play our own shows and to try and reach as many places as we could in the time available. This is why we put together what is quite a crazy schedule covering 6 countries in 9 shows - made crazier by adding in Primavera Portgual between New York and London a couple of weeks after the initial announcement! The reaction to the reunion news in November last year knocked us sideways (and knocked over our website!). We had planning to launch our new website for a while and had been working on it on and off for about a year. When we decided to reform for these shows we suddenly had a deadline to hit for making the site live. At 3am on the morning of the announcement we flipped the switch and then at 9am, when the news broke, it promptly fell over. More offers came in from all around the world and our diaries opened up, as if on cue. We couldn't resist the chance to play at Coachella festival even though it meant getting ourselves gig-ready for April rather than the end of May. As the (already sold out) Coachella festival is repeated across two weekend - 10th and 17th April for us - there is the opportunity to add a couple of our shows into the gap in between. The San Francisco show at the Warfield goes on sale on Friday at 10am (PST). Tickets available from here. If the reaction to the other North American shows is anything to go by then it could be sold out by the time you go to bed on Friday night. The UK dates in Glasgow, Manchester and London all sold out within half an hour but there are some tickets left for each of Amsterdam and Paris. These cities were special places for us first time around and so if you were disappointed not to get tickets for one of the UK shows then do consider hopping over the channel for one of these gigs. It'd be great if we can put a huge "SOLD OUT" sign across the whole tour. Talking of huge, did anyone see that banner that went up in Barcelona on the day before the tour announcement? That really was enormous.